Why is detoxification so crucial to maintaining health? 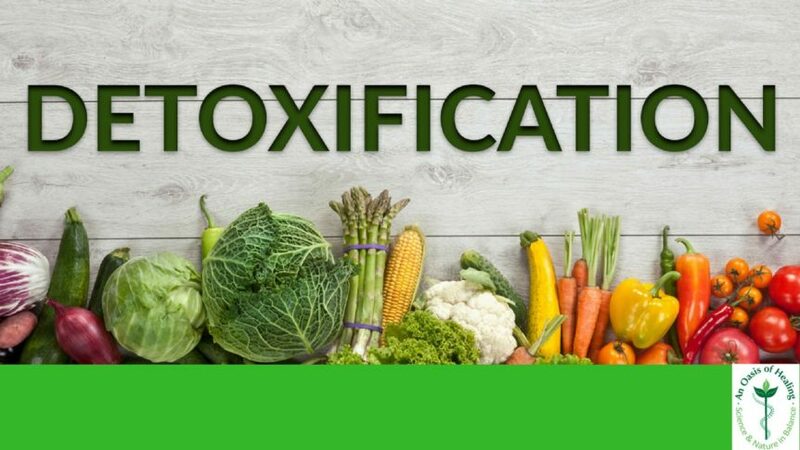 The reason why detoxification is critically important to one’s health is because we live in a toxin world and we accumulate them all the time. Even while we sleep, we acquire toxins from our bed sheets. Toxins come from the carpets and we are breathing them in constantly. Toxins are in our food, water and in the air, they are everywhere so detoxification is a must. The toxins that get into our bodies accumulate and they end up affecting how our organs work and function. The toxic waste then starts to build up from this constant barrage and what happens is disease develops. We all need to detoxify and do a whole body cleanse, there are no exceptions. The interesting thing about the English language is the way we speak. People like to say, I’m going to go detox as if it were something the person is doing. Detoxification is not something that people do, the body does it automatically once toxins stop entering the body. Once a person stops eating, the body will enter into a very deep cleanse. The body will start to clean itself, it is not something that people do. Once a person stops putting toxins in the body, the cleansing begins and will continue until toxins re-enter. One of the most important things about sleep and there are many is that people stop eating while they sleep. The longer a period that you don’t eat every day, the better off you will be. Nobody should go to bed having eaten at least three hours prior. Not eating three hours before bed, adds to your sleep of eight hours so you already have a great head start when you wake up. Then, don’t eat breakfast right away and extend the eleven hours even further to 14-15 hours of not eating. The body loves that kind of break from not eating. The cleansing and rejuvenation that happen are very advantageous for health. If you wake up with pain or any discomfort in your stomach, it’s because you ate improperly from the night before. You end up having gastric irritation from having violated your biological needs the night before. Pain is never an indication of a need until or becomes exaggerated. As an example of this, when you first have to go pee, it’s not painful but it you wait a while, it can be. All of these so-called detoxification programs and formulas are complete nonsense. There is one program made by God for detoxification and it’s called water. You don’t need to buy anything but water for this whole body cleanse. A person, in addition to a water cleanse, could do a green juice cleanse or a mono diet. A mono diet is when you eat one food only, like bananas. You would just eat bananas for the length of the cleanse and nothing else. All of these are very effective in cleansing the body. It is better to do a liquid cleanse such as the water or green juice but not fruit juices for a deep detoxification. Detoxification should happen at least once a quarter as we constantly accumulate toxins and need to flush them out. Compare this to changing a car’s oil. Every 3-5 thousand miles is required, if you wait longer, you incur unneeded expenses that could have been avoided. If a person doesn’t detoxify, toxins build up and health issues start to occur. This can be avoided by being attentive to detoxification. Once a quarter and for a duration of 10 days.